KELITE Through Conduit Double Expanding Gate Valves are manufactured with a full bore port and with 2-piece (gate + segment) obturator designed for a positive, bubble tight shut off upstream and downstream under both low and high differential pressure. Double block and bleed capability and high robustness are standard feature of this seat design. The smooth, continuous bore minimizes turbulence within the valve and when in the open position it produces a pressure drop equivalent to a portion of pipe of same length and diameter. The seat faces are outside the flow stream and therefore protected from the erosive action of the flow. Pigs and scrapers can be run through the valve without damage. KELITE Through Conduit Double Expanding Gate valves are manufacturedusing a wide range of materials, from carbon steel to alloys, in order to complywith all the possible ser vices (Hydrocarbons, Mildly to Highly Corrosive, NACE,etcetera) and applications.ns, Mildly to Highly Corrosive, NACE, etcetera) andapplications. 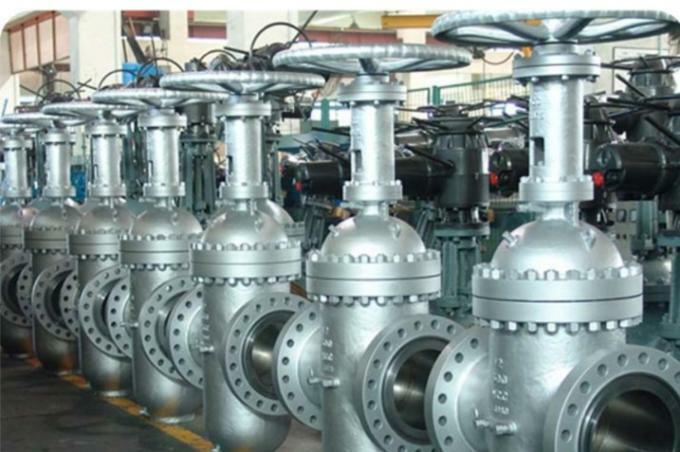 The Through Conduit Double Expanding Gate Valve comprises of a two piece wedged shape assembly consisting of a Gate and a Segment. The Gate is attached and driven by thestem and a centralizer helps in retaining the Gate-Segment assembly until sealing through expansion is required.Positive sealing is achieved in both high and low pressure conditions by expanding the Gate and the Segment out towards the seats while in a closed position. In a fully open position, the Segment is incapable offur ther upward movement and the Gate slides upwardsalong the wedge angle of the Segment, expanding boththe Gate and the Segment. The centralizer mechanism allows the Gate-Segmentassembly to expand against the seats and protect theseat faces from the line flow. In the running position, the centralizer holds theassembly together, preventing relative movementbetween theGate and Segment and holding themin a neutral position until sealing expansion is required. With the Segment incapable of fur ther downward movement,simultaneous upstream and downstream sealing is achieved whenthe centralizer mechanism allows the Gate-Segment to expand,sealing against both seats. Seats are Tungsten Carbide HVOF (High Velocity Oxy Fuel) coated with Metal to Metal contact between seats and gate. Seat faces protected from emersion The seat faces are outside the flow stream and protected from the erosive action of the flow Stem/stem seal The stem is designed with a threaded T bar allowing relative motions of the gate under line pressure. The stem seal uses graphite seals to insure sealing integrity. Upon request a Chevron packing is available. The stem seal is provided with a lantern ring, and may be provided with secondar y injection fitting and stempacking release valve (optional features). 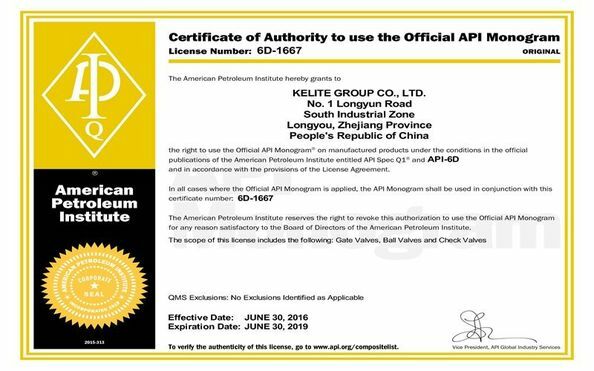 KELITE Through Conduit Expanding Gate valve isavailable in the API 6FA fire-tested design. Fire-testshave been witnessed and cer tified by independentauthorities. 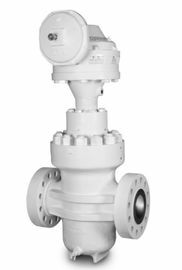 KELITE Fire tested gate valves offer thehighest resistance against fire. 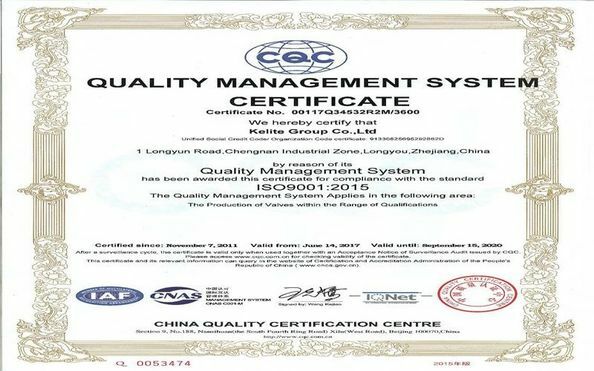 The body seal is aspiral wound gasket or Ring Joint / BX depending onthe valve ser vice and rating, and the stem seal is adie/formed /braided graphite packing.Fire-tests cer tification is available and can be providedupon request. Double block and bleed capability is a standard featureof KELITE Through Conduit Expanding Gate Valves.With the valve fully closed and pressure on both sides,it is possible to bleed the pressure from the bodycavity to check seat seal integrity. KELITE Through Conduit Expanding Gate aredesigned to be Fully Piggable. Pigs and scrapers canbe run through the valve without any damage to theinternal structure of the valve. KELITE Through Conduit Expanding Gate valvedesign minimizes and eases the maintenance allowingfor the ser vice operations to be done without theremoval of the valve from the line.